YouTube Showcase allows to expand what video managers can do when they login with a few clicks. User roles define what a user can do once they login to your site. YouTube Showcase comes with Video Manager role. Video Manager role is defined to manage all activities related to your YouTube videos such as creating and updating video content. 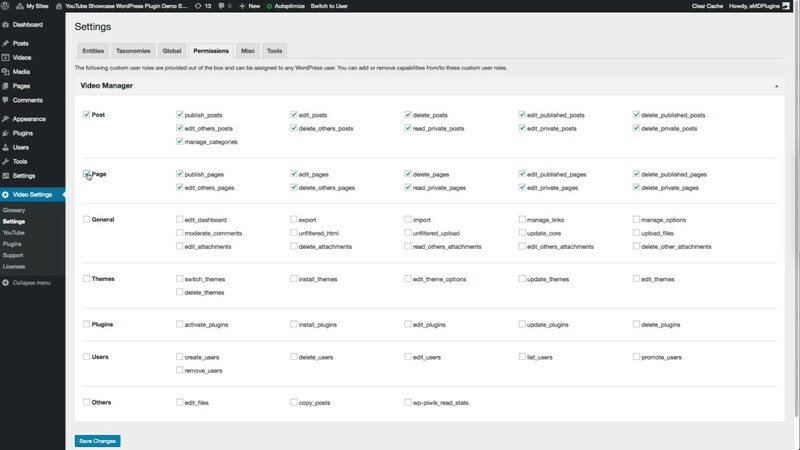 The scope of what video managers can do on your site can be expanded from the plugin settings with a few clicks. For example, if you need video managers to publish or update posts or pages, help with site administration activities such as updating user profiles, click on the capabilities you need to expand the scope this role.